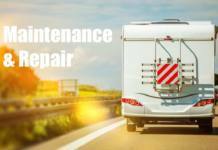 Home Maintenance & Repair Will ice cubes in an RV sewer tank dislodge waste buildup? Next articleNew RVer asks: Do I need a special tailgate for my 5th wheel? I’ve successfully used the ice cubes also but we filled up the toilet on our way out of the park and after driving all day we emptied the tank and ours read empty also. What I have since done successfully is to fill the toilet with 2 gallons of water and flush it all at once so the force of the water pushes the waste out. It usually takes about 5 times for mostly clear water to run out but it sure seems to do the job and the tank always reads empty. I’ve had my Class C for eight years. Two years ago I couldn’t get the sensors to read empty after dumping. After putting half a sack of cubed ice down the toilet and half a day later of driving, the next time I dumped, sensors read “empty” and worked fine. I’d sure do it again if necessary, regardless of this demonstration (which was quite entertaining if not accurate from my experience, however). BTW, you don’t have problems with TP if it’s put in a ZipLoc bag.